According to the FDA, avocado skins can carry listeria and salmonella, so make sure you’re washing them before you start slicing. This story originally appeared on BHG.com by Andrea Beck. If you haven’t been washing your avocados before slicing into them, you need to start now. In December 2018, the U.S. Food and Drug Administration released the findings of sample testing of bacteria on avocados that began in 2014. To prevent contaminated food from reaching stores and customers, the FDA conducts these sampling tests for a variety of products, usually over a period of about 18 months. During the assessment, the FDA collected 1,615 samples of avocados to test in order to determine how common salmonella and listeria were among the samples. The FDA tested both the outside and inside of the avocados for listeria and tested just the outer avocado skins for salmonella. First, the good news: The FDA found that less one percent of the avocados (0.74 percent, to be exact) tested positive for salmonella. 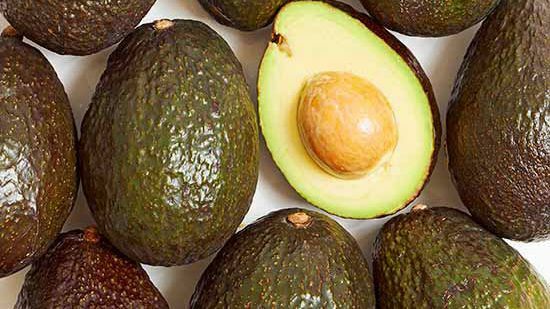 And the tests for listeria present in the inner fruit showed that only 0.24 percent of the avocados were positive for listeria on the inside. However, the tests for listeria on the avocado skin showed that 17.73 percent, or almost one-fifth, of avocados tested positive for listeria. This might not sound like immediate cause for concern since obviously, no one eats the avocado skin, just the inside. But if you’re cutting into an avocado without washing it, your knife could transfer pathogens and dirt from the avocado skin to the fruit inside as it slices through the avocado. And while small amounts of listeria monocytogenes (the bacteria that causes listeriosis) won’t cause severe illness in healthy adults, it can still make you sick, and can be particularly harmful even in small amounts to older adults, children, pregnant women, and people with weaker immune systems. The FDA tests weren’t designed to show how much of the bacteria were present on avocados that tested positive for it, so there’s no way of knowing exactly how many bacteria were on the skins. But there’s no need to give up avocados completely! According to the FDA, you can reduce the risk of getting sick by washing your avocados before you start cutting into them. You should wash avocados (and all produce, really) under running water, and scrub them with a produce brush or your hands. Rinse them one last time, and then dry with a clean towel before you start cutting. Plus, listeria aside, just think of all the people at the grocery store that have probably touched, picked up, or squeezed an avocado to check its ripeness before it makes its way into your cart. We’re definitely guilty of picking up multiple avocados to check before we finally decide on a couple to buy, and most other grocery shoppers probably do the same. Taking an extra few seconds to wash your produce before diving into one of your favorite avocado recipes is a quick, easy way to make your food a little cleaner and safer before eating. Related: 11 surprising recipes for avocado that go waaaay beyond toast and guac. In a world of endless images and infinite choices, we sharpen her vision of the life she wants to live. BH&G stimulates creativity, delivers know-how, and surprises her with fresh ideas she can make her own. We power her passion to live a more colorful life.